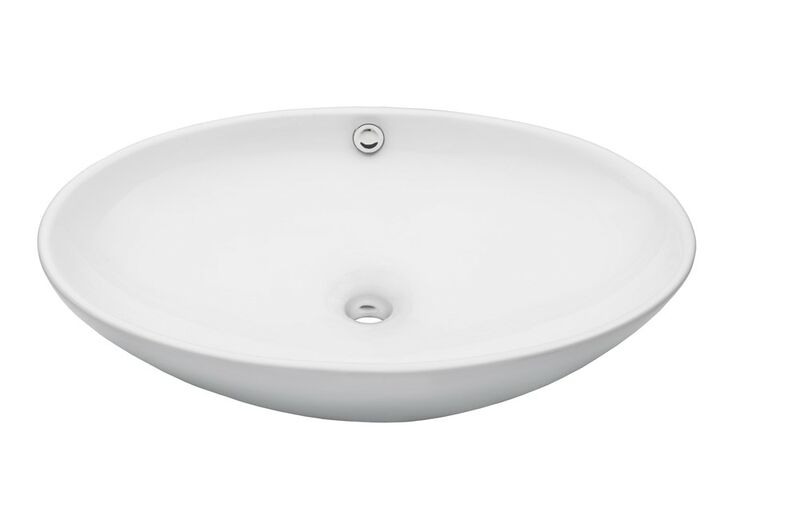 Refresh and vitalize your bath with a bright glossy white ceramic vessel sink from Novatto. Combining quality and design has never been more seamless. As an industry leader in bathroom vessel sinks, Novatto uses advanced technology to produce beautiful vessel sinks with unmatched structural integrity and longevity. This vessel is constructed of thick half inch sidewalls. Each ceramic sink is protected with a premium gloss giving an easy to clean finish. A non-porous and stain resistant finish ensures a look like new for years to come. Designed for above counter installation, pair this with any Novatto vessel faucet for a bathroom masterpiece. Standard 1.75-inch drain opening. Suggested Novatto pop-up drains: PUD-ORB (oil rubbed bronze), PUD-BN (brushed nickel), PUD-CH (chrome). For best cleaning results, a soft cloth with mild soap and water or a non-abrasive glass cleaner is recommended. Just add water and enjoy Novatto's Limited Lifetime Warranty. Supreme packaging and boxing ensure damage-free delivery. Novatto's customer service is always here to answer any additional technical product questions or help you choose a matching faucet at 844.404.4242 or productsupport@novattoinc.com.